You can create custom views on your contacts. You can select the fields to display and the order in which they appear. To create a new view click + View in the tab bar. 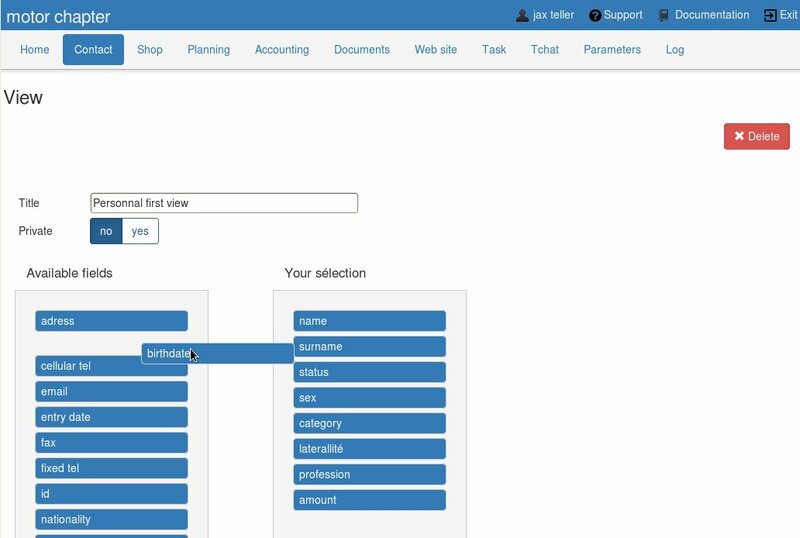 The screen to define your new view allows you to choose the fields you want to appear in your view. To select the fields click on them from the left column and drag them in the right column. To remove it from your selection, perform the reverse operation. Note that in your selection you can change the order of fields by dragging them up or down. After registration the view will be accessible via the tabs of the contact area. If you define a view as private, you will only be able to see it. Choose non-private if you prefer to share it with other users.